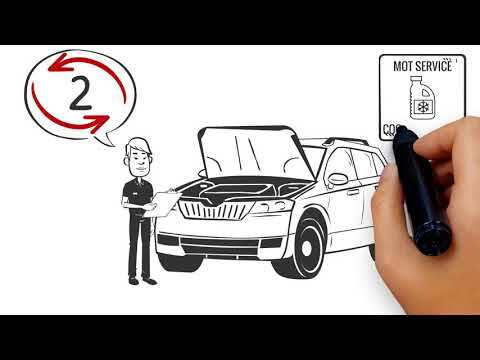 Whats the difference between an MOT and a Service? The MOT is essentially a visual inspection of your car, and will determine whether it meets minimum road safety requirements as set out by the DVSA. A qualified MOT tester will check things like the condition of your brakes, whether your lights work, and the tread of your tyres.The MOT tester is bound by the rules of DVSA and not by the rules of the garage. Forgotten your MOT date? We can advise you of this, or you can check online for FREE here: https://www.gov.uk/check-mot-status. When you have an MOT, we advise you getting your new test at least 2 weeks before its due as we can date the MOT for when its due and you don't lose any days each year. We can do an MOT up to 28 days in advance. If you leave it until the last day, and there are any works that need to be done, it can end up being a real pain for you to have to do without the car (although we have courtesy cars you can normally drive about in - but there will always be the odd time that they are all booked out). This is why we begin to remind you about your MOT around a month in advance of when it needs doing. The Full Service is a comprehensive annual service covering individual checks and adjustments. It includes a thorough inspection of electrical and mechanical systems, and a top of up of important fluids including brake fluid, power steering fluid, oil and coolant. It covers everything in the Interim Service and an additional 15 points. We also change the Air Filter and we vacuum your car on top of its regular service wash. Recommended every two years, the Major Service is the most complete Car Service available, and covers every aspect of the full service with the addition of the fuel filter and an additional 15 points. In this service we also change spark plugs and pollen filters where applicable (additional charges for these parts). When you combine this service with an MOT, the MOT becomes 1p!